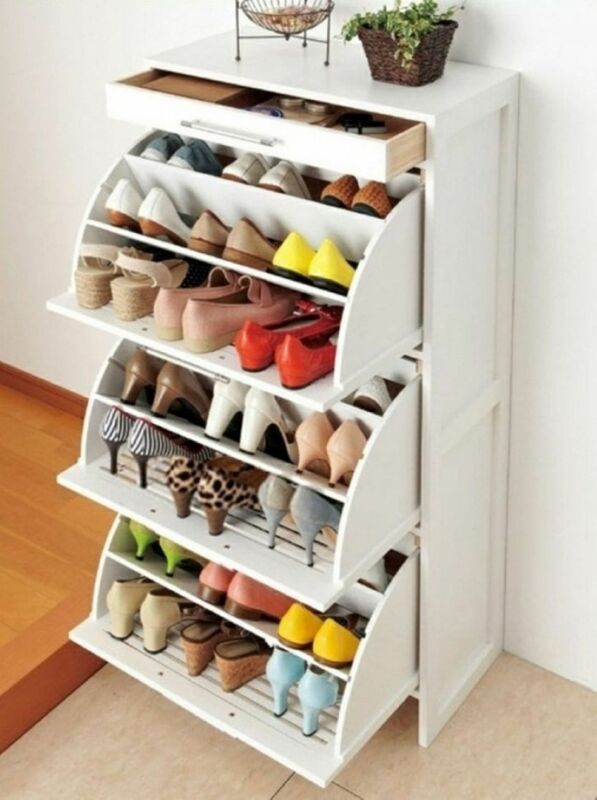 It is undoubtedly important for all of your shoes to be organized. Not only does keeping them in one central location keep your house or apartment clean and tidy, doing so will ensure you can find any pair you need at a moments notice. Everyone knows that shoe collections can easily get out of hand, especially if you have a large family. There are many shoe rack ideas available for you to select. Everything from do-it-yourself shoe racks to customized shoe cabinets. 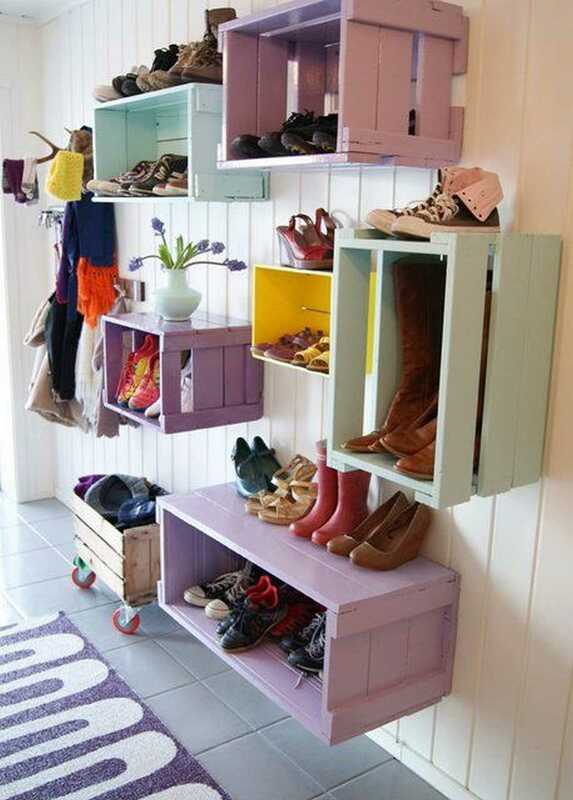 Whichever shoe storage ideas you choose consider not only their functionality, but also their home decor wow factor. 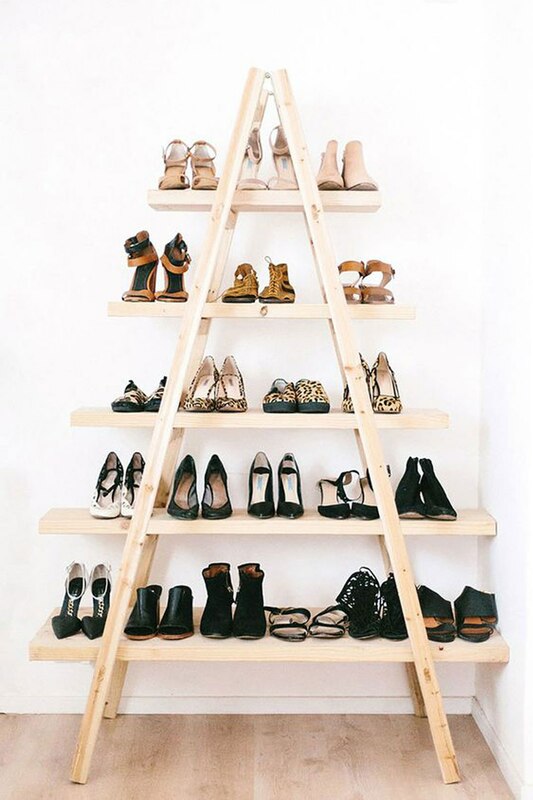 Whether you own only a few pairs, or you are an avid shoe collector, there is always a creative and clever way to store and organize your shoes no matter your space or style preferences. It is a shame when you have purchased a number of very expensive shoes and due to improper storage they get damaged. Not only that, the most beautiful of your heels should be not be hidden from view but rather displayed in an innovative way and with pride. The vast amount of different storage options is an excellent opportunity to show off your personal tastes and interior design skills. No matter which room you decide to store your casual or dress shoes in, seriously consider at least one of the fifty below shoe-storing solutions. The miniature cubby shoe organizer is one of the best all around multipurpose storage solutions for your shoes. The greatest advantage of this model is it offers enough room in each unit to comfortably fit at least two pairs of shoes. Many people purchase this option if they think the amount of shoes they own or need readily available may change over time, and they might need to store other things instead. The biggest disadvantage to this model is it takes up both a lot of floor and shelf space. 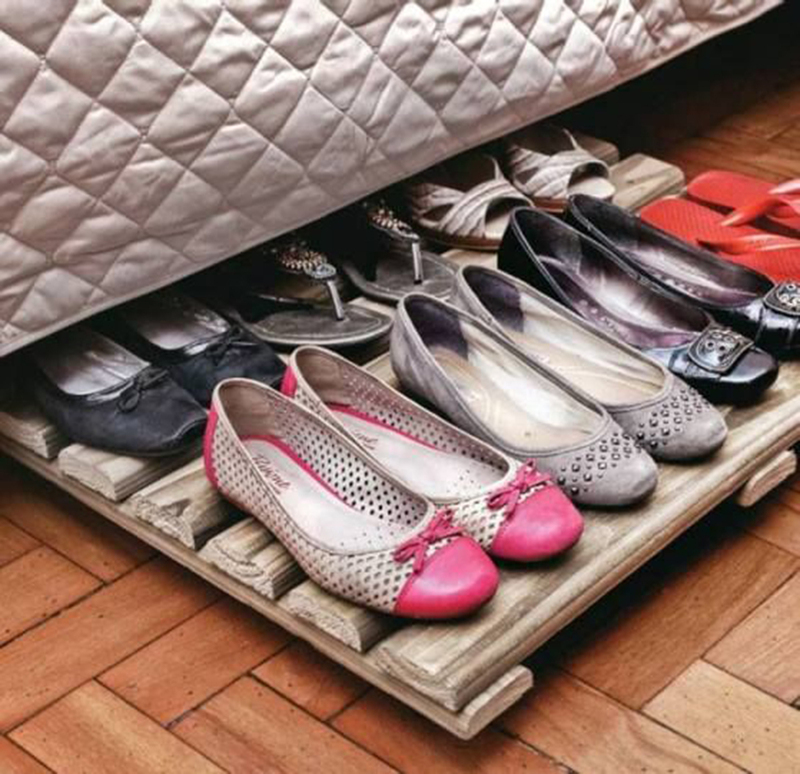 If you have plenty of room to spare for your shoes, this option may be your best bet. 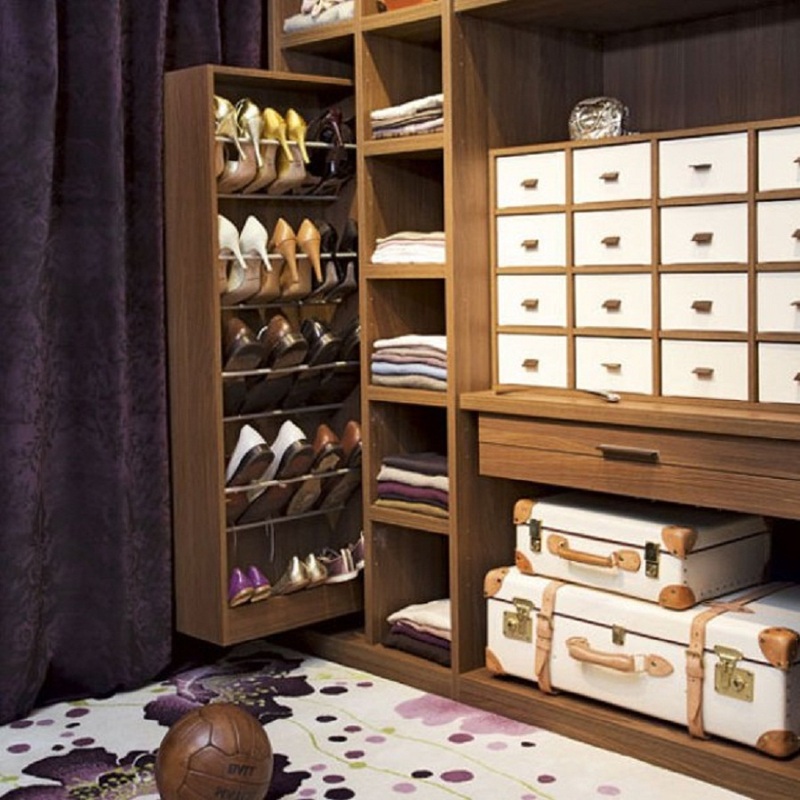 Do you prefer to have your floors kept clear of shoe racks or other forms of storage? These wooden cabinets provide both aesthetics and functionality. You can customize the sizes of each box to your exact specifications. With storage cabinets made of solid wood, you know they will be a durable and sturdy material. 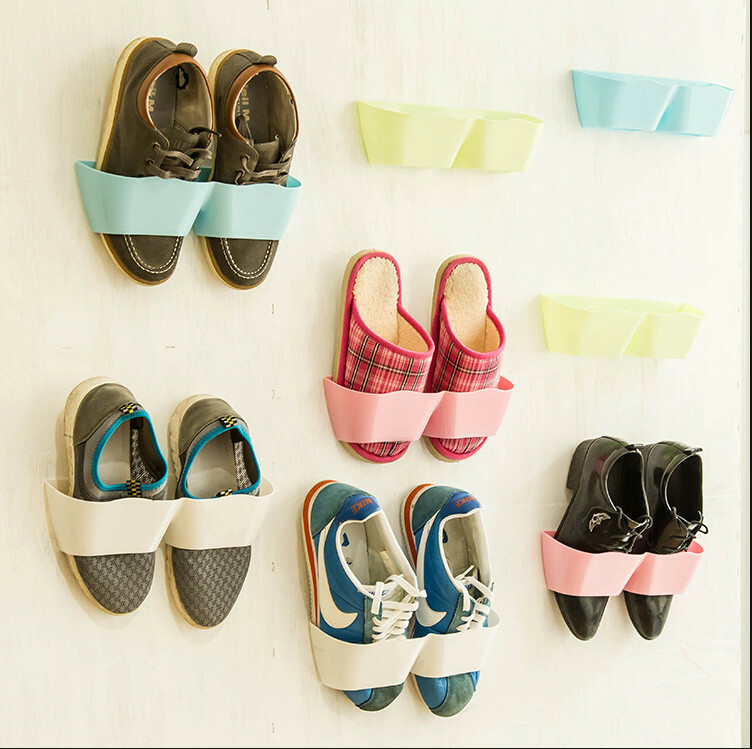 This wooden shoe rack has ample space to store the shoes of your whole family. This cabinet makes a great addition to any entryway. You can even use the tops of the cabinets as small tables to store your books or small plants. Combining space saving efficiency and easy access, the shoe cabinet folio is perfect for space saving and access to your most frequently used pairs of shoes. Guests that come over to your house will be fooled into thinking that this is an ordinary cabinet for clothes, but instead it is an expandable shoe shelf. Keep the less frequently used dress shoes on the bottom rows and casual everyday shoes at the top. Be careful to avoid any dirt building up in the different folios, as cleaning out the different levels can be challenging. These wooden shelves come together to form a functional wooden shoe rack. Compared with other models, these shoe racks have a natural wood finished look. This model is ideal for people that have hardwood floors or a lot of wooden furniture. If you ever get bored of putting your shoes there, you can always store other items around the house and not miss a beat. This choice is ideal for those on a limited budget as they can be built instead of bought. While it might not be the most space-efficient model on the market, this style will leave your guests envious. Although stairs are a practical necessity in any multistory home that does not mean the space cannot serve a multi-functional useful purpose. One of the best shoe storage ideas allows you to put all of those frequently used shoes right by the front door.The only time that you have to see or think about your outdoor shoes is when you are putting them on as your last step, out the door. 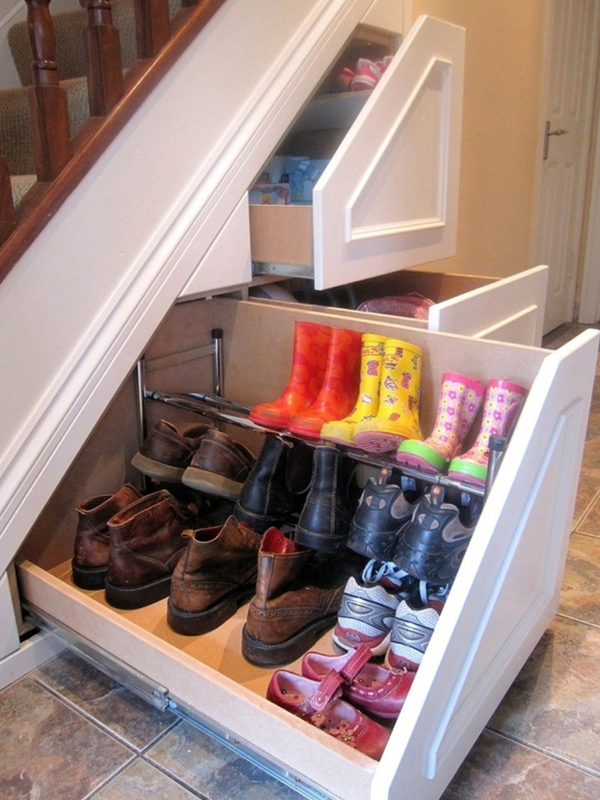 Depending on the size of the space below your stairs, you can put a large number of all kinds of shoes. I recommend storing the shoes that are in season, or those that you use most often. The 24-pocket shoe organizer is a prime choice for those very short on shelf space. Be careful with the way in which you place the shoes as some users have complained about them falling out every time they open the door. It is recommended that you keep your larger shoes in another location that has more room. The transparent plastic is hardly noticeable and eloquently suspends your shoes for instant reach. Make sure to secure all four corners on the door to prevent any swaying when you open the door. For the ultimate space saving option and creative shoe rack ideas, go with the rollable shoe holder that fits right below your bed. You will be happy you did when you remember how much you used to trip with all of the shoes previously lying around. There is no better use of the wasted space under your bed than a stunning rollable holder. The amount that you are able to hold will vary with the size of your bed. Unfortunately, due to the height restriction, this kind of storage options only work with flats, heels and boots will need to be stored somewhere else. Your shoes will be just a pull under the bed away and out of sight the rest of the time. This option is a particularly innovative storage solution that hangs on your wall. 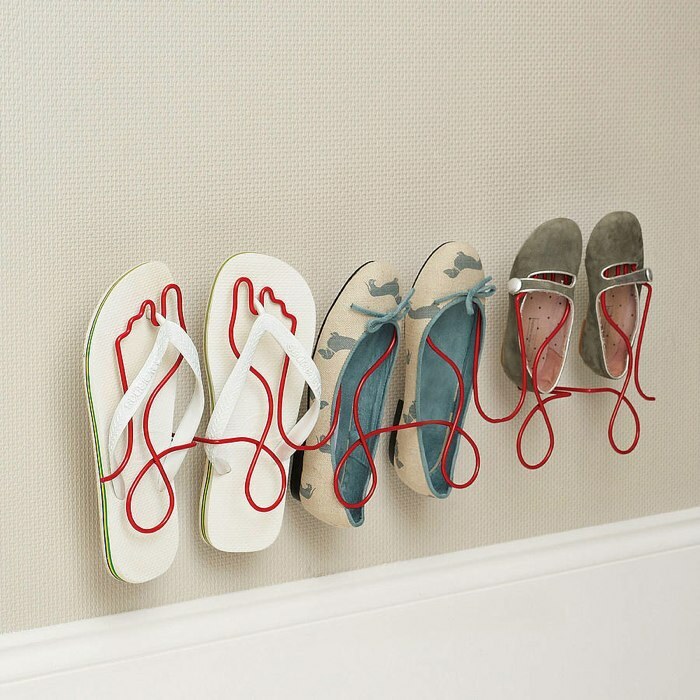 Guests to your house will remark at the artwork that the shoes on your wall create. These shoe holders come in white, green, blue, pink, or you can even customize your own preferred color. 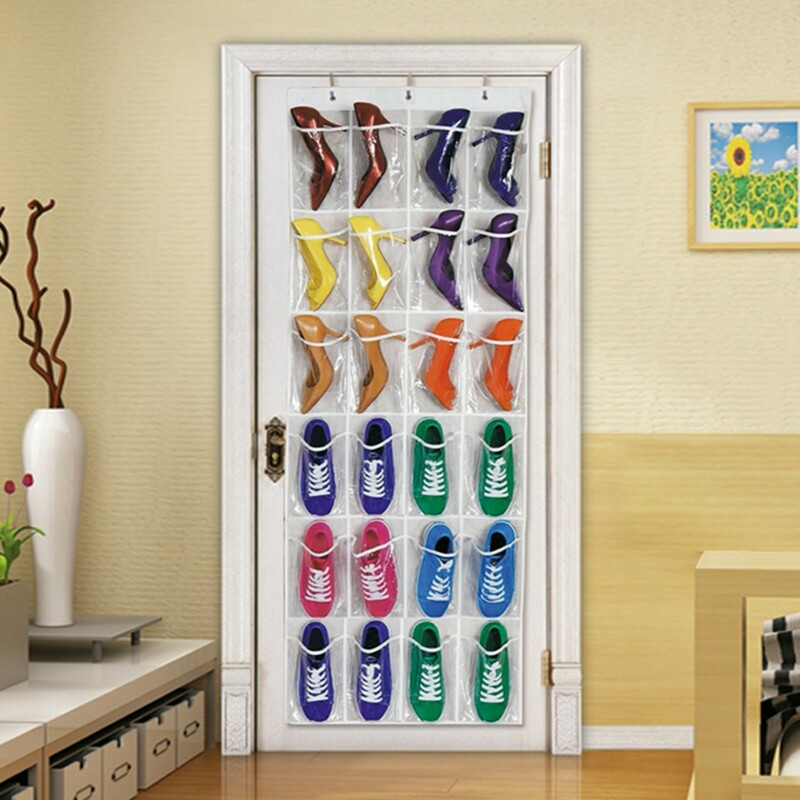 You can store all of your sports or casual shoes that are not too high off the floor in a space saving and lovely device such as the adhesive shoe rack. Be very cautious with the way in which you store these shoes as any dirt left on them can mark your painted walls. If you prize easy access and aesthetics, this design is one of the best out there. The storage ottoman is a tremendously innovative design that is efficient, space saving, and practical. The chest structure ensures that you are able to easily place and retrieve your shoes without any eyesore or too much floor space being taken up. Once you pack in all of your shoes, close the lid, and you have a comfortable shoe-storing bench. The biggest advantage of this model is that the shoes are out of sight but within easy access. This aesthetically pleasing piece of furniture is one of the best shoe storage ideas and is the perfect accent to any home. Choose the draped shoe hangers for your most formal of shoes that you need immediate access to. An ideal location to position this hanger is in a more unused section of your room and wall. This device works wonders if you are a frequent heel wearer but have difficulty in constantly looking through cubbies or boxes. The advantage of this style is that you do not need to wait at all to find the shoes that you want to wear the most. Customize the color of the wall hanger to get the greatest amount of decorative appeal. When you are attempting to organize your shoes, in your closet, in the most efficient way possible, get a rolling shoe cabinet. If you have a walk-in closet but not enough space to fit all of your shoes in a cubby or something similar, a rolling shoe cabinet is a perfect solution. The metal bars in each level will make sure that everything from men’s dress shoes to women’s heels will be sufficiently supported. After you have chosen the correct pair, all you have to do is take it off the rack and push the cabinet completely out of view. 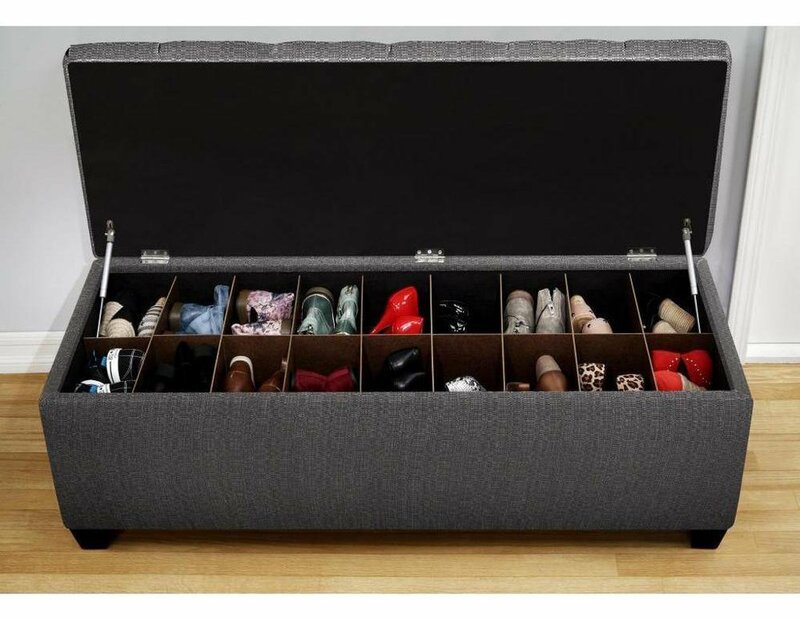 These expandable shoe drawers allow you to store all of your most prized high heels in one centralized and secure location. The fact that the drawers collapse back into the cabinet means that you will never have to worry about tripping over your shoes on the ground. The two metal support bars on each level ensure that your heels stay in place without leaving any indentation marks. By situating the dress shoes in a removable closet, they become just another easy to access component of your wardrobe. Put your most frequently used shoes towards the top. To add some class and taste to storing your sandals and closed toed shoes, purchase a footprint wire shoe rack. The design is unrivaled for its innovation and ability to securely keep your shoes in place. Many people choose to get several of these foot racks at a time, due to the extremely limited storage space. Houseguests will be marveled by the beauty and the functionality of your artsy wall shoe storage design. It is a little difficult to access your shoes once they are on the rack, so reserve the rack for less frequently used dress shoes. 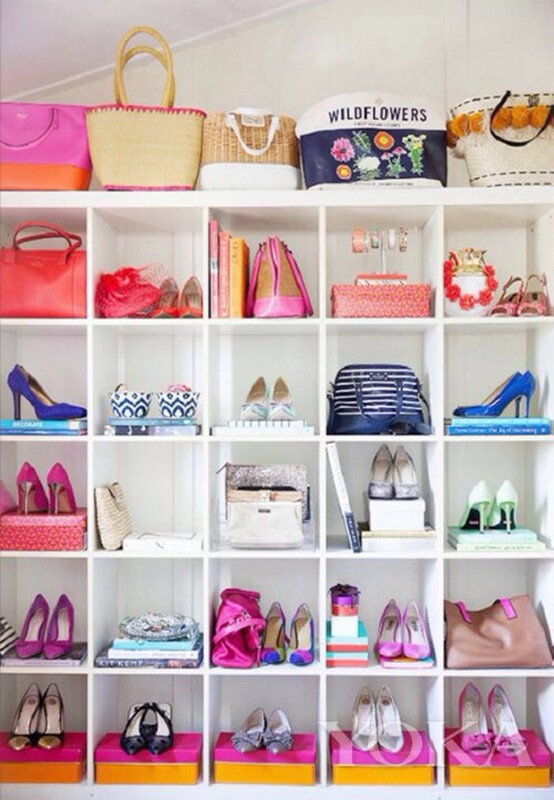 It is every girl’s dream to have a massive walk-in closet that has ample room for all of her shoes. If you have the shoes, space and budget to implement this design, you will be impressed. The similar dimensions across each of the shelves will allow you to organize your shoe collection in innovative ways. Unfortunately, these shoe shelves can reach very high up, so you will need to get a stool if you want to reach the shoes on the upper level. While these painted wood shelves look stunning, they come with an obligation of frequent maintenance.